Angela Fox and her teenage son are voluntarily opting to share a home with 170 strangers. They've been residents at a coliving space called WeLive, in Arlington, Virginia, since April. "My world is about adventures," Fox, 48, told CNNMoney. When she and her son, Tatton, step outside the door of their "studio max" apartment, there's an entire community inside WeLive, owned by collaborative workspace behemoth WeWork. There's a communal kitchen, coffee bar, laundry room, TV area, yoga studio and even a mini-convenience store. Fox, who described herself as an introvert, said WeLive provides the best of both worlds. "I can close the door of our unit and hear nothing," said Fox, who is president of Crystal City Business Improvement District. "This works for me." Angela Fox and her son Tatton. Fox's apartment came fully furnished with everything from beds to linens and towels. She didn't have to worry about things like setting up an electricity account. She also had peace of mind when leaving her apartment unattended for two weeks this summer while on vacation. 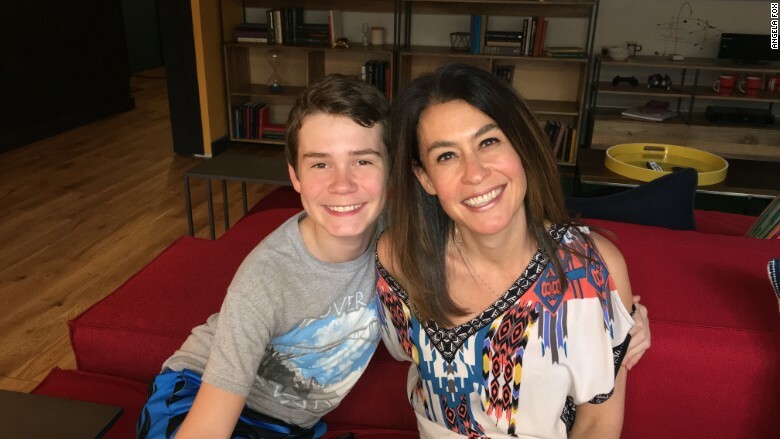 For her son, who is 13, the benefits include having surrogate siblings. "He's connected with the younger millennials in the building," she said. "Almost like they've adopted him as their little brother." WeWork, a six-year-old startup, popularized coworking with its shared office spaces around the world. It's raised $1.7 billion and is valued at $16.9 billion. In April, it got into residential communities with two WeLive locations in Arlington and New York City. Apartments range from studios to three bedrooms, attracting a range of people. Related: Can the NYC rental market be hacked? 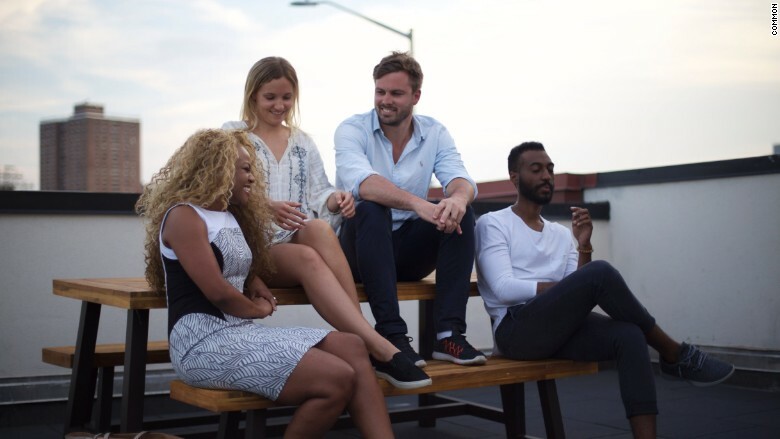 Many are newcomers to the city in their 20s and 30s. That's the case with 25-year-old Kelsey Whallon. She moved into a three bedroom in WeLive's New York City location after relocating from San Francisco. Whallon, who was paired with two random roommates, said it was also a way for her to strike up new friendships. "It's all like-minded people. A lot are members of WeWork, there's very much a startup culture vibe," said Whallon, who works at a fitness startup that's based out of a WeWork. Related: What if you never had to worry about food or rent? The concept of cohabitation isn't exactly novel, but it has been riding a new wave. There's Ollie, which combines tiny apartments with coliving, or Roam, which lets residents sign one single lease and hop between its global locations like Madrid and Miami. Unsettled, on the other hand, offers up one-month coliving residencies in a select locations (like Bali and Buenos Aires) for $1,600 to $2,000 per month to those whose lives are in flux. 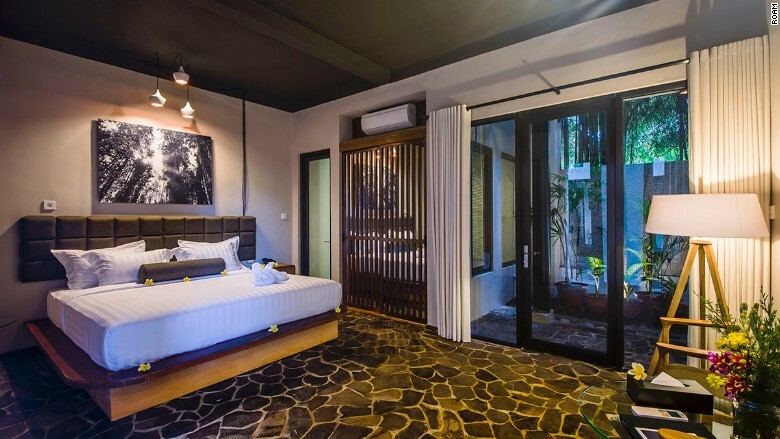 A Roam bedroom in its Bali location. "It's not something that's permanent for people. Everyone feels unsettled at some point in time. You should embrace that. It's the time you're most receptive to new ideas," Unsettled cofounder Jonathan Kalan told CNNMoney. 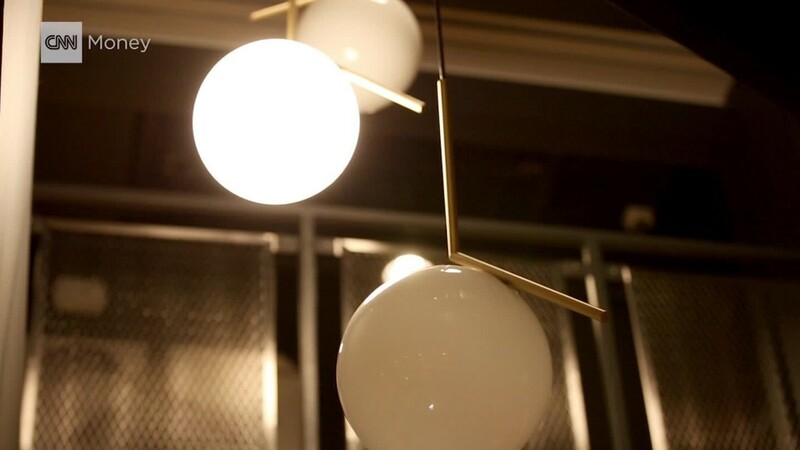 This summer, I stopped by Sunday night dinner at another coliving community called Common. 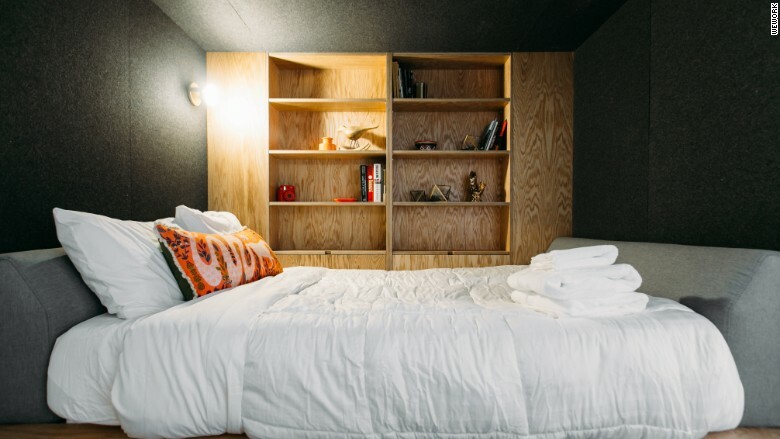 It has five coliving buildings in Brooklyn and San Francisco, and is slated to open a Washington, D.C. location this year. Some members were new to New York, some had literally Googled to find communal living situations, some were newly single. Rent isn't cheap (Common rent ranges from $1,340 to $2,700 a month), but it's not comparable to traditional housing. "You're paying for an active landlord," Common resident Roneesh Vashisht told me. "Normally, you have a landlord who just takes rent." Common's rooftop at its Williamsburg location. There are some coordinated events like this dinner, and members have created other groups themselves, like a book club and movie nights. Residents of Common range from writers and finance workers to lawyers and photographers, much to the surprise of founder Brad Hargreaves, who has raised $23 million for Common. "Frankly, I was most expecting people to be from the tech world," said Hargreaves, who previously cofounded adult education school General Assembly. He said fewer than 20% of Common's residents come from General Assembly. For all, the secret sauce is in building a true "community" while generating revenue. "The more money you pour in, the more difficult it is to maintain a core community," said Kalan, whose Unsettled remains "asset light," with no permanent locations. "Cohabitation isn't new. What is new is people trying to find the market opportunity and actually build a business out of it. And scaling while building a genuine community," Kalan said.